Hydroxycut Gummies Review (UPDATED 2019): Don't Buy Before You Read This! 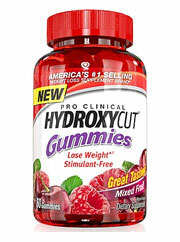 Hydroxycut Gummies is a weight loss supplement made to be an easy to enjoy, sweet treat for non-stimulant fat loss. It has added B vitamins to help break down fats, carbohydrates, and proteins. They issue a study showing that the key active ingredient helped people lose 10.95 pounds in a 60 day, low-calorie study. The intended benefit of using a gummies formula is that it’s easy to transport, and it’s meant to taste good. It provides a sweet taste, to make eating this formula easy. So is this really an effective solution for weight loss? What kinds of effects are possible? This review will go over all the information you need to know to make an informed decision on Hydroxycut Gummies. Pyridoxine Hydrochloride: Vitamin found in many foods, it’s used to process fats, sugars, and proteins. It also helps support many important body functions, though it’s often found in enough foods to not require supplementation. This ingredient is safe in amounts found in natural foods. In extract form it may cause unwanted side effects. Robusta Coffee Extract: A coffee bean variety which has more acid, and is more bitter in taste than other cofee strains. It’s often used in expresso and instant coffee. This ingredient usually provides caffeine, but since the company mentions it’s a non-stimulant formula, they have extracted the caffeine out. Though the company does not mention that it’s green coffee bean, which is the unroasted and immature version of coffee bean, they do link a study showing green coffee bean extracts benefits. So it’s likely that their robusta is unroasted. Therefore, there’s not enough proof to help show that this ingredient would actually be effective for weight loss. Furthermore, the study cited by Hydroxycut was ran by a company who makes a patented version of green coffee bean exteact. So there’s a possibility for bias. Unbaise studies have still concluded that it’s under researched, and it’s likely to only produce weight loss because of its caffeine, which is not added in this brand. Sugar: A genereal carbohydrate that is often processed, and it can be extracted from many different sources. There is no nutritional value to eating sugar, and it’s advised to limit this ingredient when looking to lose weight. 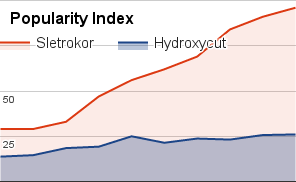 There’s a total of 10 grams of sugar per daily serving of Hydroxycut Gummies. It’s advised for women to get a maximum of 25 grams of sugar, and for men it’s 37.5 according to the American Heart Association. So for men, this would mean they are 27.5 grams closer to the advised limit, for women it would be 15 grams. Corn Syrup: Syrup made from the starch of maize. This processed sweetener has had many studies showing how it can potentially increase the risk for obesity. The processing of this ingredient often makes it more difficult for the body to absorb. This may potentially lead to side effects that include metabolism disorders, increased blood sugar, dental cavities, and other weight related issues. Lo Han Fruit Concentrate: Fruit native to parts of China and Thailand. It’s used as a sugar substitute, and it has claimed effects on increasing longevity. Therefore, it’s unknown what kinds of effects it may have when added in large doses. None of the ingredients added to this have been proven to show significant weight loss benefits, which can’t already be replaced. The added B vitamins will help metabolize fats, proteins, and sugars, but they’re already found in sufficient amounts via real foods. These types of ingedeints are only needed if one is replacing meals, or if there’s a rare deficiency. Then there’s a high amount of sugars and also added robusta coffee bean. Studies have shown it to be innefecitve for weight loss. Therefore, the overall quality of these ingredients is poor. Robusta coffee is meant to be the key active ingredient which has shown weight loss benefits. Though these studies are biased, and other clinical studies have shown it to be completely ineffective for weight loss. No direct sales are allowed, but the company offers multiple 3rd party retailers which sell this brand. Hydroxycut Gummies is sold at a 15 serving bottle for $15.84 on Amazon.com. Though the added B vitamins can be replaced with whole foods, the only active ingredient for weight loss besides vitamins is coffee robustica. Other ingredients include sweeteners, stabilizers, and flavoring agents. There’s not enough in this to justify the price. The key active ingredient can be replaced with a cheaper substitute. There’s also a high amount of sugar added to this. Sugar has no nutritional value, and it can actually promote weight gain. These cheap ingredients make this an unlikely source of healthy nutrition. The company had to settle a $5.5 million dolar lawsuit due to false health claims made about their supplements. The FTC found them guilty of failing to provide any proof to support their advertising. The company then ended up recalling all batches of Hydroxycut. It’s not known how this was allowed, nor does the company explain what has been done to ensure a problem like this won’t reoccur. Though there are a few good reviews on their Amazon.com page, these are from unverified purchases. It’s unknown if these people actually purchased this brand, or if they are paid by the company. Certified users say that it’s much too sweet, and that it had no effect at all on weight loss. People were also disappointed that they experienced no changes at all in any form. How Does Hydroxycut Gummies Compare? Conclusion – Does Hydroxycut Gummies Work? When considering a brand like Hydroxycut Gummies, it’s important to look at the quality of ingredients, and clinical studies. There’s a high amount of sugar in this, which should not be added at all to a supplement. None of the ingredients added have been shown to be both effective for weight loss, and necessary according to clinical studies. The key active ingredient has been shown repeatedly to lack quality research. There better solution comes from a brand containing studied ingredients for noticeable weight loss. You can achieve this by trying 2019’s supplement of the year entitled Sletrokor. Out of all the supplements out now, this one was the number 1 customer approved product. You can read about its potent weight loss effects by visiting their website, where testinonials have been left by satisfied customers. Users have experienced reduced appetite, increased metabolism, fat loss, and improved energy. This brand has natural plant extacts added which has been shown in clinical studies to be effectice. 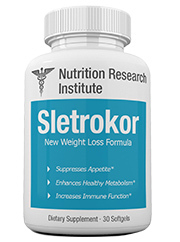 You can try Sletrokor risk free, using their full 30-day money back guarantee. If you don’t care for it, you can return it with no questions asked.